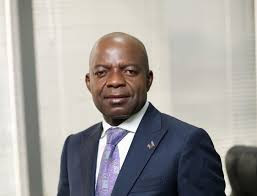 The attention of Abia Renaissance Group has been drawn to continuing efforts by the defeated 2015 All Progressive Grand Alliance (APGA) candidate in Abia State, Mr Alex Otti, to ensure that Abia State does not benefit from the infrastructural development that will be provided through the intervention of African Development Bank (AfDB) to the tune of $200m. Our sources at Abuja have confirmed that Mr Otti dispatched one of his surrogates, Mr Kalu Ogba, to the Ministry of Finance to demand that the official he contacted use ways and means to stall the implementation of the projects as well as request direct meeting between Mr Otti and the official. The official rejected the offer and derisively chipped in that he is disappointed at the level Igbo politicians are willing to go because of power. Interestingly, the official also confirmed to Otti’s man that of all the recent approvals for international funding interventions for development projects only that of Abia has generated negative interests and subterfuge of any kind. This same Kalu Ogba recently visited AfDB headquarters, on behalf of Otti, for same purposes and was literally chased away by the senior official of the bank he met, who told him to return to Umuahia and play their dirty politics and leave the bank alone. We are bringing these acts of socio-economic sabotage by Mr Otti to the general public so that our people at Aba and the rest of Abia state will know who is working hard to delay the commencement of related projects approved for the AfDB facility as well as put Mr Otti on notice that we are monitoring all his moves in this direction. Late Chief Sam Mbakwe used foreign facilities to develop Aba, Umuahia and Owerri. To date we all applaud his development instincts and contributions. Given that for more than 34 years after Mbakwe most of those infrastructure have not been renewed, we fully support the drive of the Ikpeazu administration to accept the $200m intervention by AfDB to work on roads, erosion and sanitation in the state. As non political observers and stakeholders in Abia State, we are impressed with the presence of 3 top class construction companies already working in Abia State: Setraco, Arab Contractors and China Zhonghao Nigeria. We have also noted the efforts of top quality indigenous contractors that pioneered the use of Rigid Pavement (Cement) Technology in road construction at Aba and we are optimistic that better days are ahead of our people with this facility that will be supervised by AfDB, Federal Ministry of Work and Abia state Government. We fully stand with the Government of Dr Okezie Ikpeazu in this wise and call on relevant officials of the Federal Government and AfDB to continue to ignore the super desperate politician called Alex Otti. He does not mean well for our people and have no known economic ties to the state. It is unfortunate that Otti has continued to allow himself to be used by the devil against the people of Abia State as a result of his desperate quest for the office of the Governor of our dear state and we condemn in totality his new efforts at punishing Abia people for voting against him in 2015. We also call on all well meaning Abians to speak up against this evil brand of politicking by Otti and call him to order.